In my work as a dog bite expert witness, I have been exposed to many different acts of aggression from dogs towards people and this has opened my eyes to both the high expectations we have of our dogs and how serious a dog attack can be for the person involved, the dog and the owners of that dog that are more often than not, law-abiding citizens. The majority of such cases would be otherwise pleasant dogs owned by caring owners and there is very often an incident that culminated in many factors coming together in what I sometimes refer to as the ‘perfect storm’ when the dog has bitten a person. The owners are devastated, the victim may be angry, or in some cases severely disfigured despite plastic surgery to put things right, not to mention the emotional damage that can occur during a sustained attack by a dog. Thankfully, the vast majority of my work focuses on more day-to-day dog behaviour problems and helping new puppy owners overcome problems such as the puppy that they can’t seem to get to settle at night, or a dog nip here and there from an overly excited puppy. In this article, we shall stop and look at this whole subject of aggression in dogs in much more detail and to attempt to create a resource that can help the reader understand the issues that lead up to and as a result of attacks by dogs, regardless of whether it’s an inner city ‘Combat dog’ or a 9-month-old Border terrier that bit Mrs Harris on the ankle, as she walked by with her shopping bags in hand. It is well known that here in the UK, we are a nation of animal lovers and interestingly the dog ownership figures have decreased slightly over the last five years (2013-2018).The PDSA Animal Wellbeing (PAW) Report states that 24% of the UK adult population have a dog, with an estimated population of 8.9 million pet dogs. Effectively 9 million dogs then. Many dog bites are to the face. A dog is resting on the sofa, or the victim leans into the dog’s personal space and then…BAM! A single dog bite can cause severe injuries. It’s not just adults that get bitten either, children are often victims of bites to the face due to holding dogs around the neck or trying to kiss a dog and then the dog announces its discomfort with a bite or nip that shocks everyone throwing the household into disarray. An interesting study came out in 2016 whereby a Dr Stanley Coren, a dog expert and professor of psychology at the University of British Columbia looked at 250 dogs that were being hugged by children and adults and observed them for signs of stress. It was found that 81 per cent of the dogs being hugged displayed signs of stress, suggesting they wanted their owners to stop their actions. My personal take on this is that if the dog is in fact used to being hugged and actively enjoys it, the research findings need to consider this. Poor behaviour towards children can arise due to a lack of sensible rules and boundaries for the dog…and it has to be said the same can apply for the child too. It’s a two-way street. We can’t and shouldn’t expect a dog to tolerate being laid upon, or its tail pulled by a child. A dog that is sleeping or eating should be given peace and quiet and not interfered with. Dogs also need rules around children that don’t read a great deal differently when you look at it. For example, they should have specified sleep and rest areas. Access to the sofa (if allowed at all) should be given on the owner’s invitation. Dogs should be well away when family members are eating and not to expect human food as they eat. Setting up a harmonious arrangement and mutual understanding like this is something I have addressed on dog behaviour visits many times and as a parent myself, I take a great deal of interest in ensuring that such situations are realistic and safe for all concerned. Now, I do not condone any dog bite. However, the signals were almost certainly being given by the dog saying ‘I’m not comfortable. Please stop this.” We may not necessarily expect a child to read these signals, but an adult should at least have the ability to spot a situation that is perilous or may become so. Those pictures that can be seen on Facebook of your friend’s Staffordshire bull terrier (or any other breed come to that) lying next to a baby on the baby’s play mat that gets 104 likes? I have to scroll past them. I can’t look. I don’t care how much you love your dog and baby, these pictures should not be set up, let alone taken; but they’re all too common. Common sense in some people still seems to be in short supply. This summer (2018), I have been involved in a number of events whereby children have been bitten in the face and I have been called upon in my capacity as a dangerous dog expert to carry out further assessments on the dog in the home to offer advice. One event was when a visiting child to the home attempted to hug the dog around the neck and he bit her on the lower jaw leaving a single puncture wound. This child was used to interacting with her own dog in this way and I can only assume that her dog was tolerant of it. However, the dog she attempted to hug was not so used to it, hence the reaction and bite. Police visited the property and concluded that the dog was safe in the home and I attended as a part of a behavioural overview. No further action was taken. Another case that stands out, was of a large breed dog that had some on-going food guarding issues. A young child was visiting the home and was stood next to a bag of dog food that was in the hallway after a delivery. The dog could not cope with this and felt the need to bite the child across the face, encompassing the upper eyelid and lip. The dog was removed by police but returned to the home about 2 weeks later as no charges were being pressed by the parents of the child. I spoke with a serving police officer from the relevant force regarding the second case, as I was seeking clarification on what criteria are used for removing a dog from the home. In this particular case, the dog was removed as the injured party was a child and the bite was a level 4 or 5 bite according to the Dunbar scale. Please see below for details on this scale. Police forces across the UK can have different criteria on how they approach such cases, which can make it difficult to know exactly what to expect. However, you can expect the police to take a very robust approach to such cases - especially if the dog bite involves a child. In my work as a dog bite expert, this scale presents a recognised way of assessing the severity of a dog bite and allows experts to communicate with this common understanding. Level 1. Obnoxious or aggressive behaviour but no skin-contact by teeth. Level 2. Skin-contact by teeth but no skin-puncture. Level 3. One to four punctures from a single bite with no puncture deeper than half the length of the dog’s canine teeth. Level 4. One to four punctures from a single bite with at least one puncture deeper than half the length of the dog’s canine teeth. Level 5. Multiple-bite incident with at least two Level 4 bites or multiple-attack incident with at least one Level 4 bite in each. Follow this link for the full sheet in pdf format. It’s not just the innocent owner in situations that meet the ‘perfect storm’ criteria that have dogs that bite. There is a section in society that own dogs for less positive reasons. “Status Dogs’, ’Weapon Dogs’, ‘Combat dogs’ or ‘Bling Dogs’ have seen a huge rise in numbers and are often owned by young men involved in crime that use dogs instead of knives and other weaponry. These young men will train their dogs to be aggressive and protective and often breed choices are made (very often by cross-breeding) to avoid the ownership of any of the banned breeds within the UK, being the Pit-bull Terrier, Japanese Tosa, Dogo Argentino and the Fila Braziliero. Instead, we are seeing breeds such as the American Bulldog, Mastiff mixes and Akitas so as to side-step the ownership of one of the banned breeds as set out above. According to criminologist Dr Simon Harding, (I have sat through one of his interesting dangerous dog lectures on this subject), there are covert puppy farms that are breeding status and weapon dogs worth thousands of pounds in the London area. There is evidence of these dogs being injected with steroids for additional strength and aggression, while they are taught to bite suspended poles or ropes to increase jaw and neck strength, increasing their ‘gameness’ as a result. 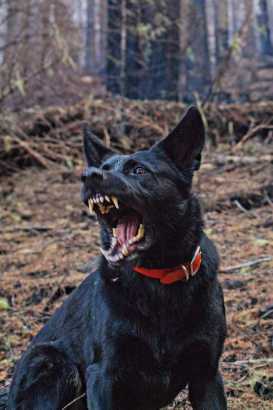 These dogs are also used in street fights between dogs as well as to provide a form of defence during drug transactions. In the worst circumstances, gangs will use them for muggings, mascots and for the safeguarding of territory, and fighting enemies along with other dogs. This is not a problem just relating to London, as similar situations can be found throughout the inner cities of the UK. A sobering thought, I think you’ll agree. On a slightly more positive note, numerous charities are providing educational programmes for these young dog owners addressing the issues such as responsible dog ownership along with healthier ways to relate to their dogs. Animal welfare organisations are starting to offer free neutering alongside free healthcare advice. The Metropolitan's Police Authority Status Dog Unit has set up small units to various partners to promote responsible dog ownership so as to help keep the public safe. Apart from draconian laws, which have already proven to be largely ineffective, leading change through education will have to be a mainstay approach to changing these attitudes. In my capacity as a dog behaviour expert witness, I have worked with over half of the UK’s police forces when carrying out dog behaviour assessments and have nothing but admiration for the job they are challenged with. Like me, the officers wish to return dogs as soon as possible and do not want to see dogs held in kennels for longer than necessary. Many of the dogs that do remain in the system for long periods are due to complications at the point of the owner being appropriate to keep the dog (or not as the case may be). The Dangerous Dogs Act does have its failings (primarily the banned breeds element), but members of the public also need to be protected from dangerous dogs that may attack and so there needs to be a clear recourse under these circumstances. Let’s move away from the subject of ‘Weapon dogs’ and look at the more day-to-day realities of how dog bites and dog attacks can affect the great British public. Based on research that was revealed back in July of 2016, the breed that was said to be most responsible for attacks on postal workers were German Shepherds, then the Staffordshire Bull Terriers, Border Collies and then the Labrador. All protective breeds by nature, but they need to be safely secured on your property. If you feel your dog behaves in a threatening or dangerous way, I encourage you to seek help. Below is a radio interview I carried out with BBC Hereford & Worcester on this subject of the dogs most likely to bite. The Royal Mail revealed that there were 2,600 dog attacks upon their staff in the year of 2015, with Nottinghamshire coming in as the worst county for such attacks by dogs. 36% of these dog attacks occurred at the front door and 35% in the front garden. Not surprising given their job. I have personally seen many dog bite cases that have involved delivery drivers and many of them are put out of work by their physical and emotional injuries. Furthermore, 54% of these attacks involved dogs that were not kept securely. 35% of the dog attacks were through the letterbox! School holidays saw an increase of similar incidents by 10%, just as I also see an increase in dog bites to children during the school holidays. Please note that should your dog carry out such behaviour on your property, the Dangerous Dogs Act now considers your home property to be a ‘public place’ for the purposes of this law. So please don’t think that this law doesn’t apply to you and that it’s the postman’s fault. Take stock of the measures you have in place in and around your home. Is the front door secure? Can your dog open doors? Is your garden perimeter and garden gate secure? Can a delivery driver gain access to places that your dog has access to? I often look at these elements with dog owners during dog behaviour assessments and advise sprung latches or similar to help ensure that the garden gate will always close if a person forgets to do so. Sometimes the simplest of measures can make all the difference. Should the worst happen and your dog does bite someone, I encourage you to look at third party insurance for your dog as a minimum. I recommend Petplan here. I have long had an interest in the state of dog ownership in the United States. My brother lives in America and I have numerous connections there myself. The data that pertains to dog bites in the States is much greater, in that there is a great deal more of them and this amplifies the numbers, though I realise this can’t simply be overlaid onto the UK statistics in a totally accurate way. Here, I’d like to look at the body parts that are actually bitten during most dog bite attacks so as to create a clear pattern and I believe that this would translate well across the waters. People will often put hands in first to greet a dog and allow the initial sniff. Due to their location, hands tend to be where many dogs heads are in terms of height. The dog bites tend to vary depending on the relationship that the person has with the dog. If the person doesn’t know the dog, then bites to the hands and legs are more common. When someone is attacked by their own dog, the boîtes can occur on the hands and neck due to more close encounters that the person might venture to take. Analysis has shown that dogs will usually try to disable the victim by going after the lower limbs in an effort to take that person down to the floor. If and when a dog successfully takes a person to the floor, the dog will then typically go for the throat, neck and head. With the human protecting their head with their hands and arms, this can lead to further injuries to the upper extremities. When a dog attacks in this way, it is going in for the kill and robust measures must be taken to defend oneself. During dog behaviour assessments on dogs that are deemed to be dangerous, I virtually always have one or two police officers looking on offering help should it be needed…that’s never been required as yet and I intend to keep it that way. I do have a variety of Kevlar sleeves for the arms and legs, a martial arts style groin protection piece (it seemed a good idea at the time) and an anti-bite spray. These things may help should the dog unexpectedly turn on me, but it has to be said that if I cannot safely remove a dog from the kennel and keep myself and those around me safe, the dog does not come out of the kennel. I have heard stories of experienced police dog handlers assessing pit bull terriers and being bitten so seriously that they needed to retire from the job. No dog assessment is worth that. Ever. Safety first. Always. Children are frequently bitten on the face as they are shorter than adults and may be on the floor with a dog at the time of the bite to the face. Children are also at risk of attempting to kiss or hug dogs around the neck and can be bitten on the face as a result of such inappropriate actions. Due to a child’s smaller size, they are more at risk of being fatally injured, as some dogs can exert huge forces in the jaw. An American statistic explained that out of a year’s fatal dog attacks, 12% of the deaths were in babies under 30 days old and 80% of the total fatalities were in children under the age of 11. This age group is particularly vulnerable as the attacking dog can reach critical areas easily. A person may be vulnerable in this region as they turn away from the dog or another reason is that they are flat on the ground with their face to the floor for protection. Please note! If you are in any doubt as to whether your dog bite requires medical attention, you should immediately seek the help of a medical practitioner. If you present with the above signs of infection after a dog bite, It is likely that your doctor will prescribe antibiotics and to discuss the tetanus jab also. Should you suffer from any of the following health conditions and are bitten by a dog, you should seek medical attention: Cancer, HIV, Liver disease, Diabetes. This is an in-depth subject, but once the initial upset has died down and you realise that you own a dog that bites (this would apply to dogs that bite people or other dogs), you are duty-bound to think long and hard as to what steps you will need to take next. Many bites to people go unreported, or the bite may be towards a family member that usually would not report a dog within the family. Some people that are bitten in public by another person’s dog will not report the bite as they do not wish to get the dog into trouble in the belief that the dog will be automatically destroyed. In my experience, this would usually apply to minor bites that the person feels they were in some way responsible for, or the bite may be an inadvertent one as a result of splitting up two fighting dogs. Incidentally, people being bitten as a result of two dogs fighting (or one dog attacking another) must be one of the leading reasons dogs are reported under the Dangerous Dogs Act (the act being a dog on person one) and that I then become involved in my role as a dog expert witness to assess the dog that is alleged to have bitten. I have seen some cases whereby I was of the view that the person reporting the bite is likely to have been bitten by his or her own dog, but goes on to report it as the other dog that caused the injury. Where there’s blame there’s a claim and all that. So if your dog is aggressive towards other dogs, muzzle him so that you are not a victim of this wider implication, although your dog should be muzzled in any event. Ask your vet to carry out a medical examination on your dog. Some dogs will display aggressive behaviour as a result of undiagnosed pain or discomfort. Introduce and use a muzzle at all times when in public and other locations that you know your dog to be anxious or show aggressive behaviour. See the YouTube video below on how to do this. Keep your dog on a short lead in public spaces and a long training line (30-50’) in open quite locations such as parks or fields is usually a good compromise. Seek advice from a qualified behaviourist, so that you can have your dog assessed and to set out a behaviour modification programme.